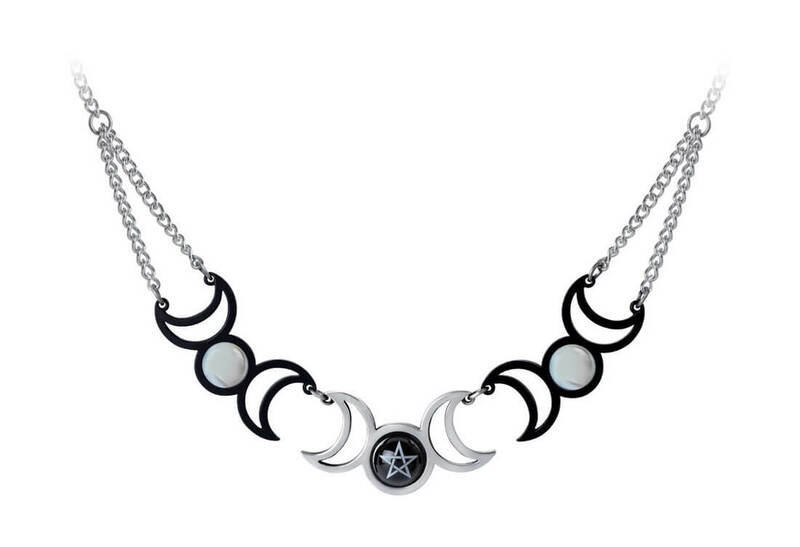 A beautiful necklace the Tres Lunae comprises of three sets of three stages of the moon. 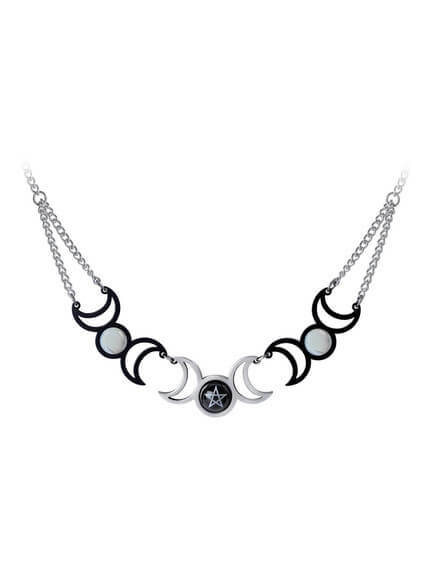 Each set has a new moon flanked by crescent moons. The outer sets have mother of pearl cabochons and the center set is polished with a fine pentagram engraving on the full moon.